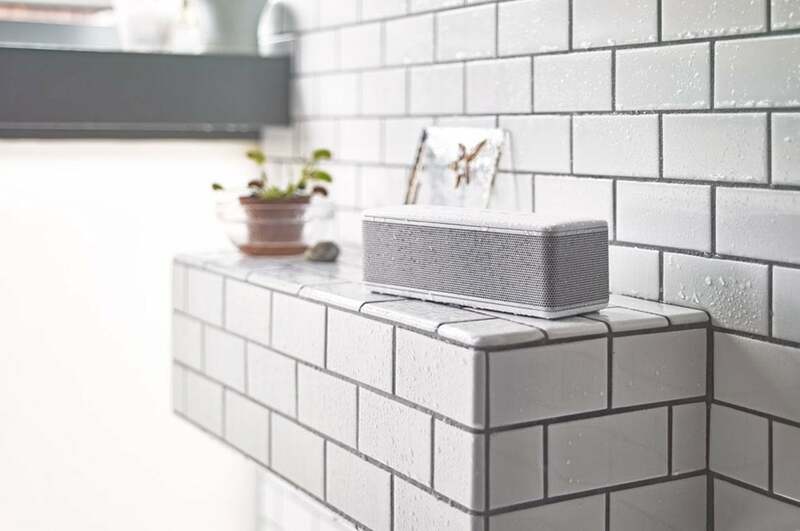 The market is awash in Bluetooth speakers, so a new model has to offer something extra special or really different to capture our attention, especially when that new speaker is from a new company. The Riva S is a spectacular Bluetooth speaker boasting a number of features you won't find in the competition. 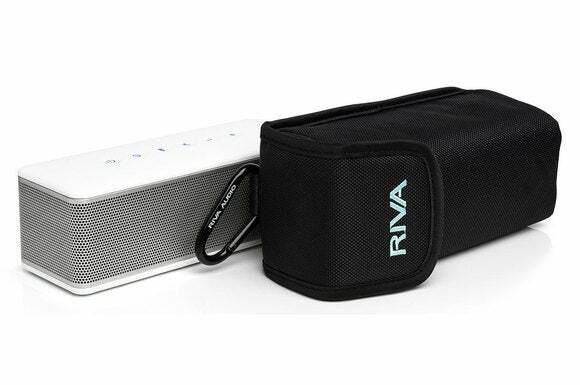 Riva Audio promises that its Riva S portable Bluetooth speaker meets that objective by reproducing music in a manner that will satisfy both music lovers and audiophiles. 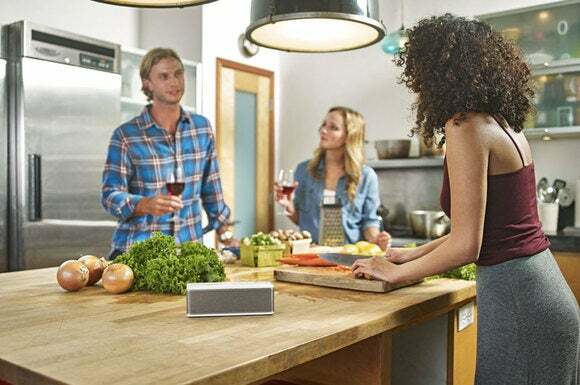 Not only has the company largely delivered on that promise, it’s also come up with a number of new features that differentiate its speaker from the broad competition. The rectangular Riva S is small at only 7.5 inches wide, 2.6 inches high, and 2.5 inches thick. While It weighs a mere 1.5 pounds, it feels solid and dense as though every square inch of the Riva S is filled. The Riva S comes with a velvet-lined ballistic nylon carrying case and carabiner clip. To make it easy to take the speaker with you, Riva Audio provides a high-quality, velvet-lined ballistic nylon carrying case and a carabiner clip. 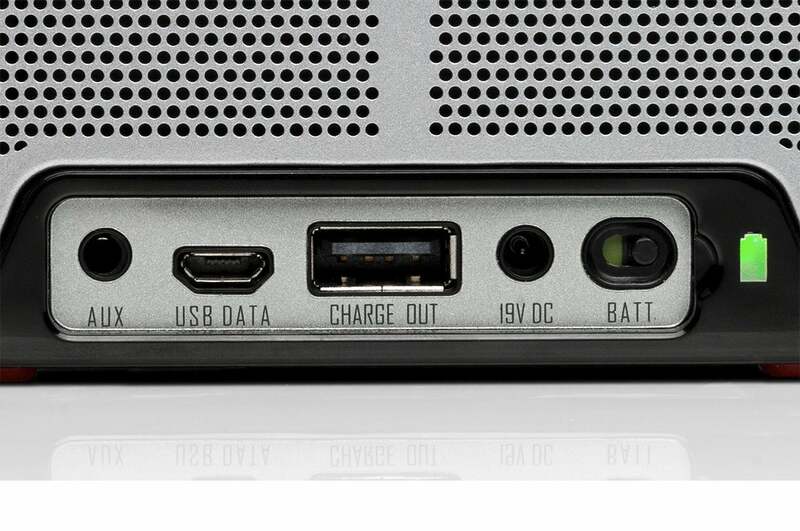 The case isn’t big enough to include the international power supply and its swappable U.S., U.K., E.U., and Asia plug adapters, though. Riva Audio says it has paid meticulous attention to the speaker’s design and sound. The amp, transducer, and mechanical design were all engineered in-house. Riva Chairman Rikki Farr and Riva President Don North, each of whom has decades of experience in sound reinforcement (i.e., live audio for concerts), spent more than nine months fine-tuning the Riva S’s sound. But the speaker’s secret sauce is ADX Trillium, the company’s patented and proprietary technology that creates a 300-degree sound field by distributing a stereo signal across the Riva’s three 40mm full-range drivers (one faces front and there’s one mounted on each end-cap). Riva claims that the Trillium design creates the psychoacoustic perception of a wider stereo sound stage and coherent timbral accuracy even as you move off-axis. To my ears, this is more than just marketing fluff; it’s just what I experienced. The Riva S uses the company’s patented Trillium technology to split a stereo source across three speakers to create a wide soundstage. The Riva’s Trillium configuration and four custom dual-piston radiators are anchored by an internal, three-channel, 30-watt, Class D amplifier. You can really crank it up. Riva claims the speaker will deliver 13 hours of battery life if played at 70dB, but you’ll get only about five hours of play time at full volume. A handy battery indicator on the unit’s rear panel lights green if you’re good or red if you’re running low. Taking advantage of the unit’s handy USB charger to top off your mobile device will also result in a battery hit. An on/off switch on the back will help conserve battery life when you listening to music. 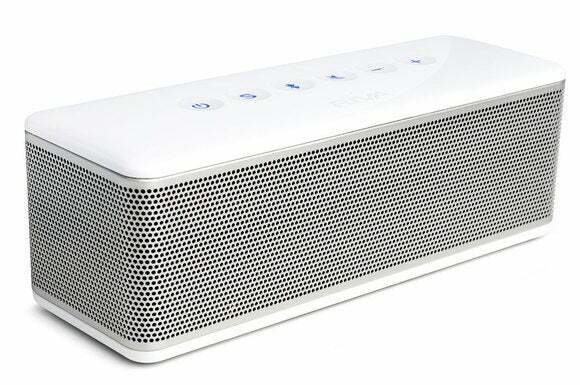 I’ve heard more than my fair share of run-of-the mill Bluetooth speakers, and the Riva S is anything but. Like many of its competitors, it supports Bluetooth SBC, AAC, and AptX audio codecs (the latter of which will give you near CD-quality sound when paired with an AptX-compatible source). And there’s a ubiquitous 3.5mm auxiliary input. But that’s where many of the similarities end. You’ll never need to guess how long the Riva S’s battery will last. 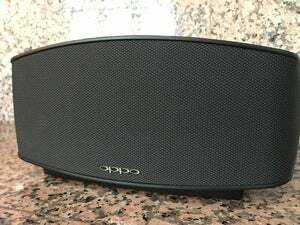 I found the Riva S to be a feature-rich speaker that could be used in many situations where other Bluetooth speakers would be out of their element. Some of these features are automatic, while others are enabled by pressing combinations of the Riva’s capacitive touch-control buttons or via the spartan Riva Mobile App (iOS only right now; Riva says an Android version is in development). TrueWireless is my favorite Riva S feature. It enables you to add a second Riva S via Bluetooth and play both as a stereo pair. 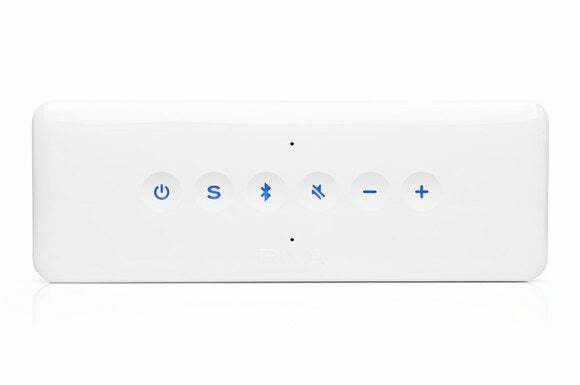 When you set the Riva S into TrueWireless, the first (master) speaker always acts as the left channel and the second (slave) acts as the right channel. The master speaker’s buttons remain functional while the slave’s are defeated. Riva recommends you keep the pair within 10 feet of each other and in the same room to prevent any latency or interference problems. The team at Riva also fine-tuned the sound in TrueWireless mode. 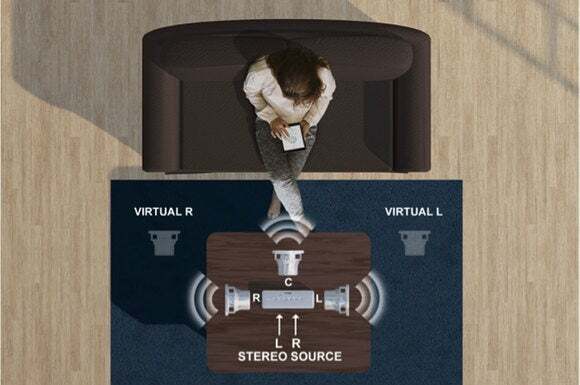 Because both speakers playing together can yield up to a +7- to +8dB increase in loudness, the Riva S loads a different volume level table to keep the Riva’s sound optimal at all volume levels and configurations. That’s attention to detail. The Riva S is rated IPX4 for water resistance. That means it can take an occasional pool-side or shower-water splash, but it won’t serve as a true in-shower speaker or survive being submerged in water. You must affix a rubber cover (cleverly stored on the bottom of the unit) to the rear ports before exposing it to any water or all bets are off. The speaker can also function as an echo-canceling speakerphone, thanks to tiny microphones built into the top of the unit. You can accept, reject, and end calls without touching your phone—just press buttons that are also on top of the cabinet. While in speakerphone mode, the Riva S applies a special EQ setting that boosts mid-range frequencies, so you can hear voices more clearly. In my real-world tests, the speakerphone feature worked well; but perhaps unsurprisingly, the people on the other end of my calls said I still sounded like I was on a speakerphone. The Riva S is rated IPX4 for water resistance, meaning it can survive the occasional pool-side splash but won’t survive submersion. The speakerphone wasn’t flawless, however; I couldn’t use Siri, a fact that I confirmed with Riva. I couldn’t hear Siri’s audible prompt, nor could I speak any commands though the Riva S. I had to unpair the speaker in to use Siri. 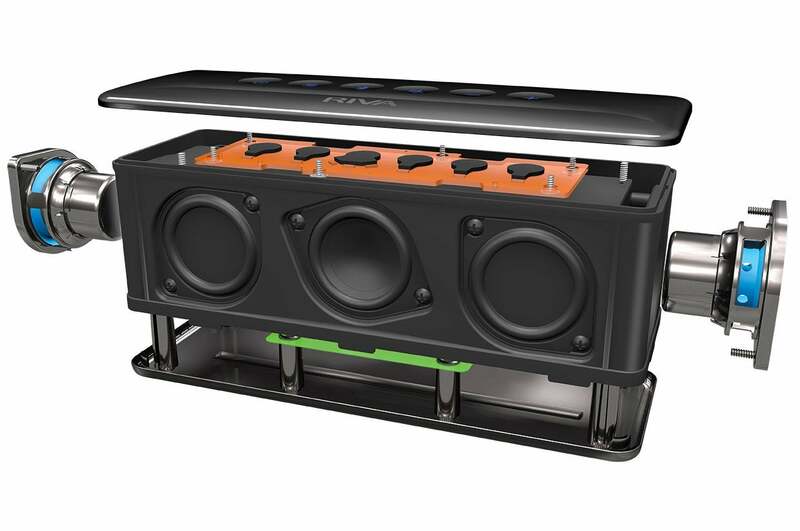 Unlike many Bluetooth speakers, which compress a music source’s dynamic range, the Riva doesn’t. While that’s great for audio quality, it also means that “hot” recordings (tracks whose dynamic range was highly compressed during the mastering process so that they peak at maximum amplitude more often) will come across really loud, while recordings that haven’t been mastered this way will sound quiet. To compensate for this difference, the Riva S has a “power mode” that adds about a 4dB boost in volume, plus a degree of its own dynamic compression. Don’t overuse this feature if you intended to run on battery power, because engaging power mode can slap you with 40-percent battery-life penalty. With great power comes great responsibility. Exploded view of the Riva S’s internal design. Vinyl has enjoyed a major comeback in the past few years, but most powered speakers—especially portable ones—haven’t taken this trend into account. The Riva S has. Plug one end of the provided 3.5mm-to-stereo-RCA cable into the speaker’s Aux input and the other into your favorite turntable. Before you drop the needle, hold the “+” and “-“ buttons down for 5 seconds. The Bluetooth button will turn orange and you’ll now be in Phono Mode. This bypasses the Aux input’s automatic gain control and adds up to 9dB of gain to the speaker’s output to compensate for a turntable’s weaker signal. The Riva S isn't outfitted with a true phono preamp with an RIAA EQ curve, but it does allow you to connect a turntable to a very small speaker system; and yes, it works with TrueWireless, too. You could set up your turntable with a Riva S on either side and jam to your vinyl collection just about anywhere (you’ll need power for the turntable, of course). The Riva S is the first speaker I’ve tested that address two of my biggest perpetual complaints about Bluetooth speakers: concurrent device pairing and relative speaker volume. In Party Mode, you can pair a Riva S with two Bluetooth sources. Put the Riva S in Party (Multi-User) Mode by pressing the Bluetooth and “–“ button, and you can pair two active Bluetooth sources with it. Party Mode is simple and smart. The Riva S will start playing the first source you send it. Initiating a stream from a second Bluetooth source won’t override the first; but if the first source is paused or stopped, the second source can start streaming audio anytime. There are no cryptic error messages to decipher, and there's no need to un-pair and re-pair one device at a time. Party Mode and worked flawlessly in my tests. The Riva S can "remember" up to eight Bluetooth relationships, with the last-connected device being remembered first. Concerning volume, if you’re using an Apple device, your iOS volume maps exactly with that of the Riva S. In other words, 40-percent loudness on your iPhone corresponds to 40-percent loudness on the Riva A. This is critically important because the Riva is voiced to add loudness contouring when it’s playing at low volumes (to compensate for the way bass sounds at lower volumes), and a loudness defeat when it’s playing near it’s limit (to protect the drivers). Android users and AUX connections don’t have that luxury. To get the best performance and sonic benefit from the Riva S’s loudness contouring, therefore, users should set their source device’s volume to max and then use the Riva S to adjust the volume. The Riva S comes with a quick reference card outlining all of the shortcuts to enable the speaker's various modes. I followed the Riva’s audiophile-inspired “Get Started…” note that greets you upon unboxing. The instructions recommend that you play the S for three hours at 50-percent volume to break in the drivers. I did so on a Sunday afternoon by pairing my two Riva S review units into TrueWireless mode. I tested the Riva S via Bluetooth using AAC-encoded music files on iPhone 6s and an iPad Air, and FLAC, ALAC, and DSD hi-res music files a mix of three hi-res audio players (Astell & Kern AKjr, Pioneer XDP-100R, and the Questyle QP1R) that I have for a forthcoming review. When fed the right material, the Riva S can pull out textures, layers, and fine details with ease. Those months of fine-tuning the Riva’s voicing really paid off. It has a euphonic tonal balance that leans a bit to the warmer side of neutral that I found addictive. The Riva S features a set of capacative touch buttons that glow when you pass your hand over them. For example, The saxophone on the title track from Steely Dan’s Gaucho was smooth and silky without any harsh or edgy sound coming through. On the hi-res FLAC version of Eric Clapton’s “Alberta,” from his eponymous Unplugged album, I noted very good timbral accuracy. Clapton’s signature guitar strings on the song’s opening were nicely layered and full-bodied, conveying a good sense of the guitar’s body. Both Clapton’s guitar work and the accompanying piano were sweet and lush—far from the thin or brittle presentation you’d get from many speakers this size. Dynamics were a real strength, too; for example, I wasn’t expecting the concluding kick-drum from “Alberta” to exhibit a good chest-thumping hit, but that's what the Riva S delivered. TrueWireless mode allows you to pair two Riva S speakers via Bluetooth and use them as a stereo pair. And don’t fear about how loud a single Riva can be. I played Pink Floyd’s “Any Colour You Like” from the hi-res DSD version of Dark Side of the Moon, and from about four feet away measured an average of 93dB, with peaks hitting 96dB. Turning to TrueWireless, I preferred positioning the Riva’s straight ahead as opposed to toeing them in. Taking the time to position a stereo pair of Riva S speakers yields spectacular results. Imaging on “Welcome Me” from the Indigo Girls’ Nomads, Indians, Saints was spot-on. There are also various instrument decays and sound effects during the song that fade from one speaker to another. 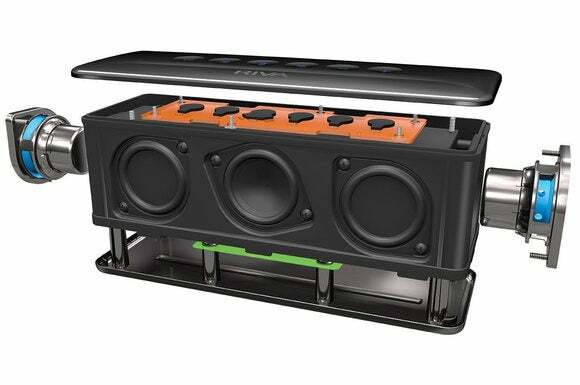 I didn’t perceive any latency between the speakers that would shatter the stereo illusion. 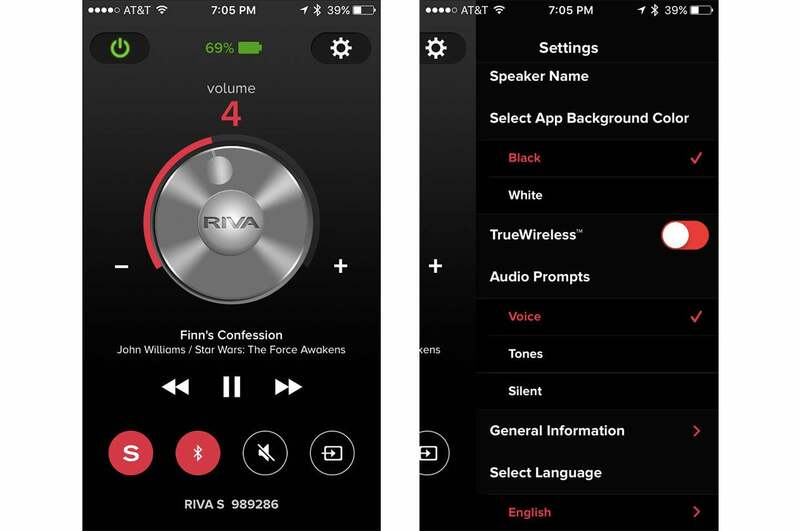 The Riva Audio Mobile App offers instant access to some of the S's functionality, but it has some noticeable limitations. For example, you can’t browse your music library from the app. 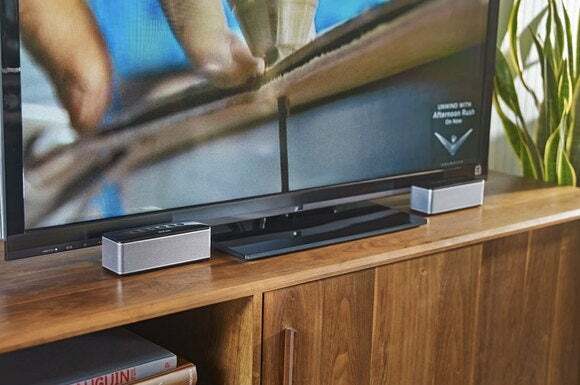 The Riva S delivered excellent horizontal off-axis response in both single-speaker and TrueWireless modes, among the best I’ve heard from any wireless speaker. There was amazing consistency. You almost needed to be behind the speaker to get that muffled coloration that you experience with so many other small speakers. 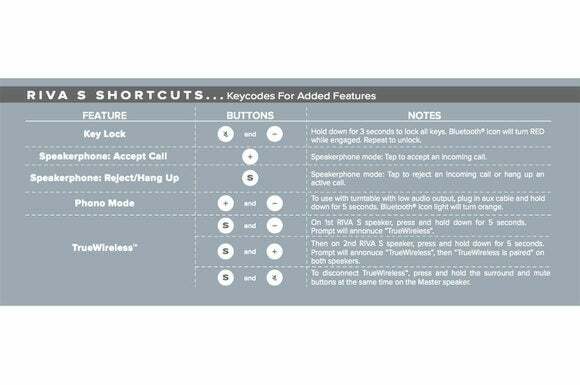 During all my listening sessions with the Riva S, my sole complaint is a split-second quirk in TrueWireless mode which, according to Riva President Don North, is a result of how CSR's Bluetooth chipset works with TrueWireless. When I would start playing a song, it would engage in stages. First, there was a bit of lag as the left (master) speaker would start. Then, the left speaker would mute for a micro-second delay, stutter, and then the right (slave) speaker would kick in. After that, all was fine. If you’re an audiophile, you likely rue the mere thought of being parted from your high-end two-channel gear or headphones. The Riva S won’t take the place of your most treasured critical-listening gear, but it is a music-lover's portable dream come true. It’s small, lightweight, feature-rich, and it sounds oh so right. Highly recommended.